Hi, Savannah here. I've got a secret! I haven't told anyone about the e-mail I received from the nice folks at Corning Museum of Glass. I've been invited to replace an ailing glass blower who works on a cruise ship in the Mediterranean. My other concern would be for our relatively new Webb's Studio. This converted warehouse has attracted some skilled intermediate and expert glass artists who need work space along with the type of camaraderie that inspires you to strive to achieve your best work. Jacob is more than capable of handling the custom work but I'm going to ask one of my senior students to watch out for the existing clientele and give out information for prospective clients. It seems like the stars are aligned -- now to ask Edward if he wants to be my plus one for the adventure. I think he'll say yes. There's a #GIVEAWAY! Leave a comment and your email address in the form of yourname(AT)server(DOT)com to avoid the SPAM bots. 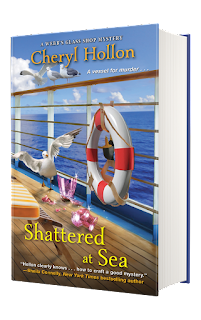 Do this by midnight on August 25 for the chance to win a signed Advanced Review Copy (ARC) of Shattered at Sea. This giveaway is open to U.S. and Canadian residents only. Winner will be notified within 48 hours after giveaway closes. Fulfilling the dream of a lifetime, she combines writing with a passion for creating glass art. In the glass studio behind the house, Cheryl and her husband George design, create, and produce fused glass, stained glass and painted glass artworks. Sounds like a winner! 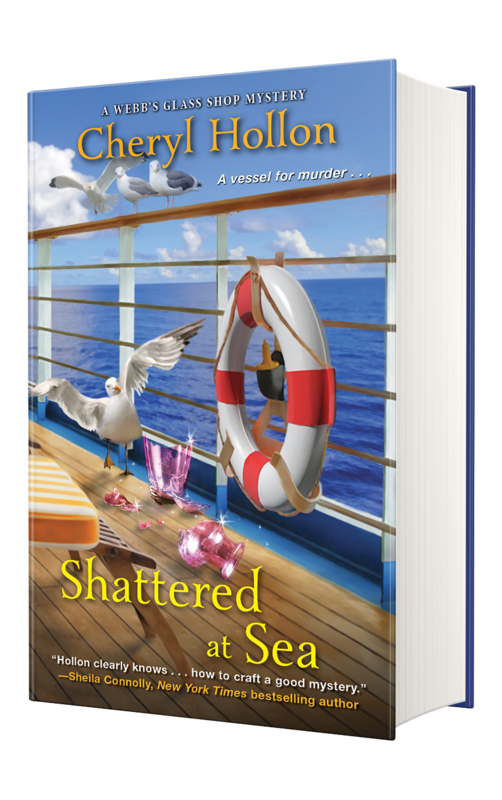 When you combine a cruise, romance, stained glass and murder, what else could you expect? I do hope he says yes! Have fun on the cruise, Savannah! I've heard cruises are a great gig short term. 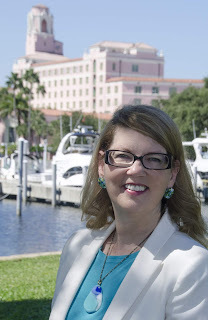 I am so excited for the new book and what a great premise about how she gets this job! Thanks so much! I really like the sound of the book. A stained glass class on a cruise should make for a great story. This sounds like a good read. Thanks for a chance to win your giveaway. 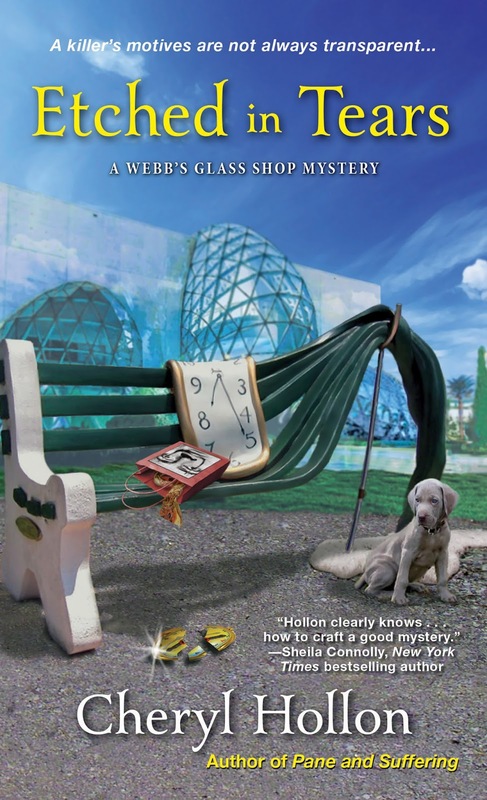 Looking forward to reading the newest book in the Webb’s Glass Shop Mysteries. I love reading about cruise ship mysteries ptclayton2(at)aol(dot)com. Thank you so much for the chance! I love stories at sea. Thanks for letting me know so I Can add to my list.